Sure, the macaron flavors at Cafe Grumpy are not quite as traditional as some of the other bakeries in New York but they are sure creative. 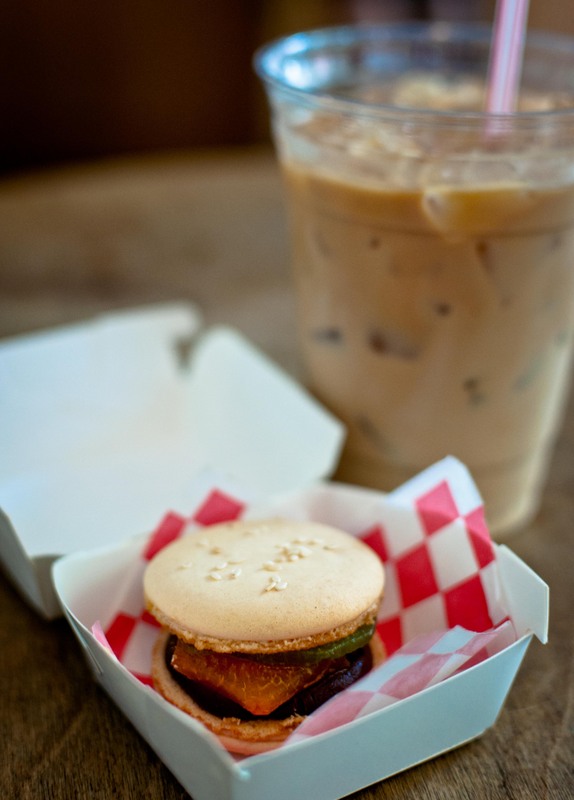 How cute at these little hamburger macarons? The little macaron cookies are topped with sesame seeds and the filling are made with kiwi, mango and chocolate. Served with in a little clam shell box with red checkered parchment paper, they look exactly like a miniature version of the real thing.